Italians vote today in a constitutional referendum which is being ridiculously over-simplified by the British media as the third round of battles between Brexit/Trumpite populism and the ‘Establishment’. It isn’t. 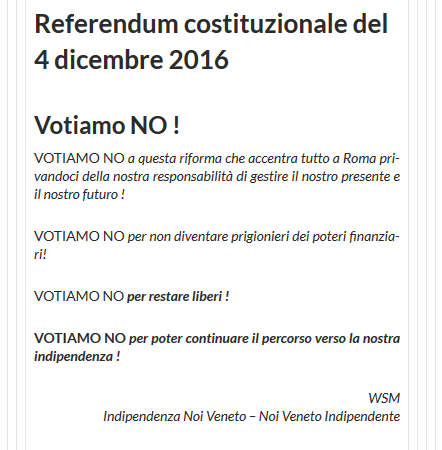 Yes, Italy’s populist (though hardly far-right Ukip-lite) Five Star Movement is calling for a No vote, as is the right-wing autonomist Lega Nord. But then, so is Sinistra Italiana (Italian Left), which combines former Communists, other left-wingers and greens. Meanwhile, one conservative party (the New Centre-Right) is found in the Yes camp, while a second – the Conservatives and Reformists – which explicitly and unaccountably models itself on the British Tories – is in the No camp. The problem with this referendum is that it can easily be read as a centralising move that neatly fits the anti-democratic project of the neo-liberal elites running Europe (and the UK). Matteo Renzi, the Italian Democratic Party (similar to Labour) Prime Minister is making this an issue of confidence and sees himself as a ‘moderniser’. But this is business-friendly, Blairite ‘modernisation’. It’s no coincidence that the Italian employers’ organisation backs a Yes vote, as does the European Commission, while stock markets are getting jittery about a No vote. 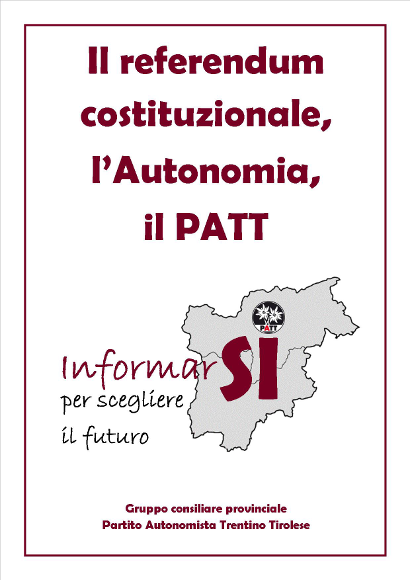 Fundamentally, the constitutional reform proposes weakening and reducing in size the Italian Senate. It replaces direct elections to the Senate by indirect elections (by Regional Councils). While this still leaves the Italian Senate more democratic than our House of Lords, it also means the Chamber of Deputies becomes the dominant element in the formerly bicameral constitution. At the same time, some argue that ordinary regions in Italy will be rendered powerless, although the five autonomous regions (Val d’Aosta, Trentino, Friulia-Venezia Giulia, Sicily and Sardinia) are left untouched. Meanwhile rural provinces, a level of local government, look likely to be abolished. ← Corbyn’s Labour: delectation or distraction?